MIAMI (WSVN) -- Officials have revealed plans for a future express rail service between South Florida and Orlando. The project by All Aboard Florida will bring a high-speed rail from Miami to Orlando and points in between, including stops in Fort Lauderdale and West Palm Beach. 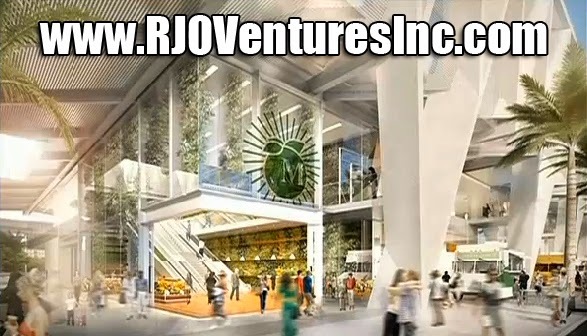 The Miami station will be located on Northwest First Street and will stretch all the way to Eighth Street through Downtown Miami and Overtown's Historic District. The plans were unveiled at an event at the site Wednesday. 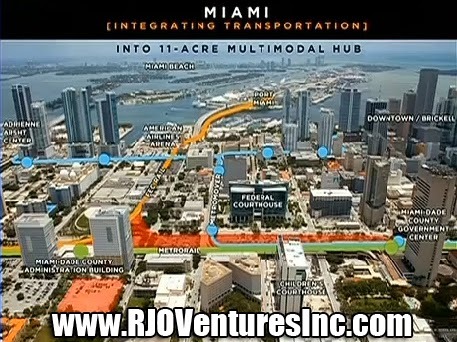 "We're giving you a peak of what we think is a very bright future for Downtown Miami here today, and a future that will begin to unfold really, really rapidly," said Michael Reininger with All Aboard Florida. Renderings released Wednesday for the train complex show the 2.5 million square-foot project that will have retail, residential, commercial and parking areas. The project will change the Miami skyline. 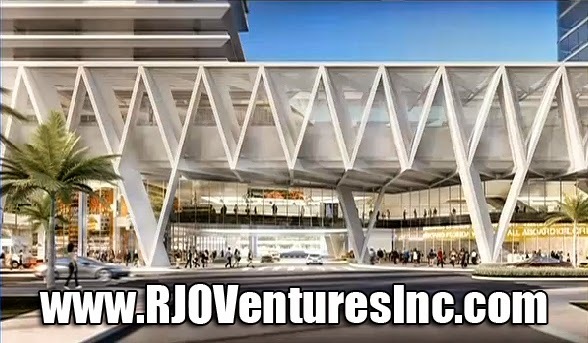 At the center of everything will be the transportation hub, combining the new station and high-speed trains with the existing public transportation system. The express rail is expected to make it from Miami to Orlando in less than three hours. Miami-Dade County Mayor Carlos Gimenez and Miami Mayor Tomas Regalado, who attended the event, have given their full support to All Aboard Florida, as the project is privately funded. 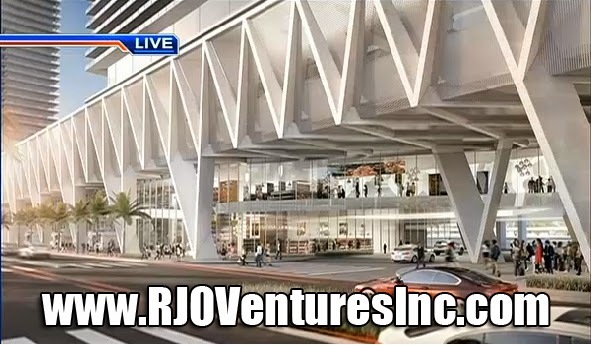 "This will be a game changer for Downtown and also for Overtown," said Regalado. 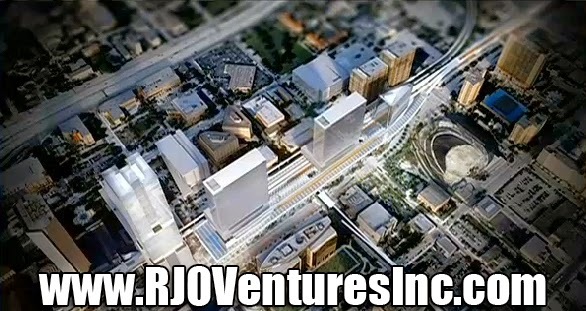 "The mixed-use project in Overtown will bring development to Overtown as we have never seen." Gimenez said, "If you look up and down the line, there are thousands of new jobs created by this project, a great number here in Miami-Dade County." Construction in Downtown Miami is expected to be completed at the earliest by 2015.